This is the time of year that I often get asked for ideas and tips on how to be healthier. You might be asking the same question, especially with it being the beginning of a new year. Along with that comes intentions and goals that we may have set for ourselves or would like to set for ourselves. But perhaps you have given up on doing that because you have failed in the past. What if you had a little inspiration, a little motivation, some support to kickstart 2018 and get you on your way to feeling your best? Does that sound good to you? If your answer is yes, I invite you to join me for my FREE 7 Day Healthy Habits Challenge which kicks off 1/22/18. I know it can be hard to lead a healthy lifestyle when you are super busy and on the go. Believe me, I know! As we begin this new year, and with many asking and desiring to create new healthy habits for themselves, I put together this fun little offering. I have created easy to follow sustainable advice and practical tips that empower you to reclaim your true health and wellness. Body and mind. Who’s with me? What do you have to lose? It’s FREE and it’s only 7 days my friends. I would love to have you. And most importantly, it’s going to be a lot of fun! 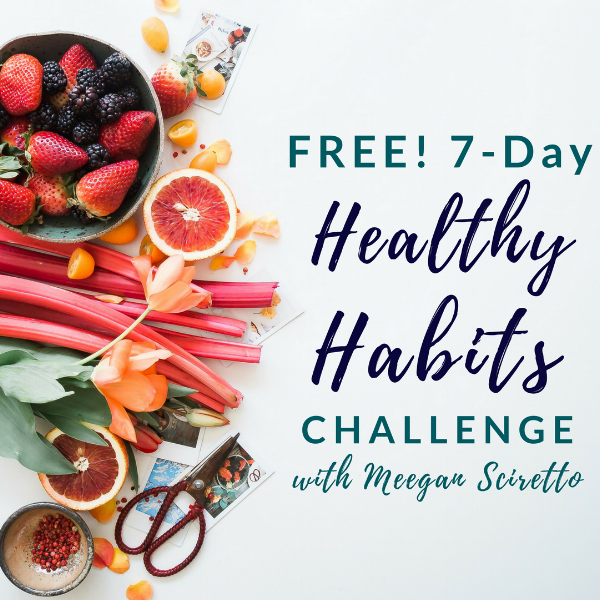 Head on over to https://www.meegansciretto.com/7-day-healthy-habits-challenge for details and to sign up.